Standout player for FC Barcelona, Neymar Jr., has collaborated with Nike to create a cleat inspired by both his close relationship with his sister and his fluid playing style. This strong familial bond is represented by matching diamond tattoos on each of their arms. Just above Neymar Jr.’s diamond tattoo is the word "sorella" for sister. His sister, Rafaella has "fratello" for brother above hers. Being one of the most valuable minerals on earth, the diamonds are meant to symoblize the rare and unbreakable bond between the two siblings. Diamonds stand out, which is exactly what Neymar Jr. wants from his cleats. He chose a chrome colorway to mimic the look of a shining diamond, and subtle accents throughout the upper are meant to appear like a liquid finish in order to compliment his renowned fluid playing style. These boots represent him as both a player and a person, highlighting his stand out moves and bold and cheerful attitude. 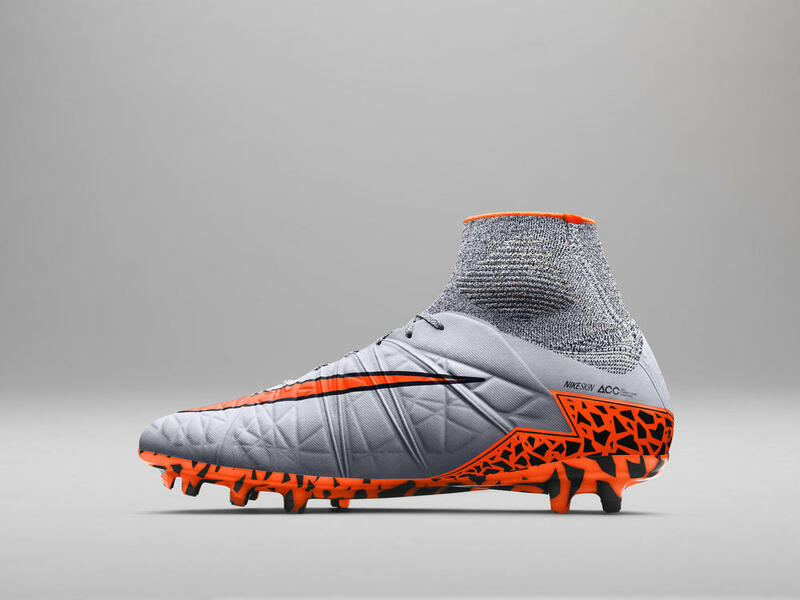 The 3-D NikeSkin on the Hypervenom boots enhance the dimensions of the liquid diamond appearance. The traditional Nike swoosh captures Neymar Jr.’s energetic personality with bright Hyper Pink and Volt accents. 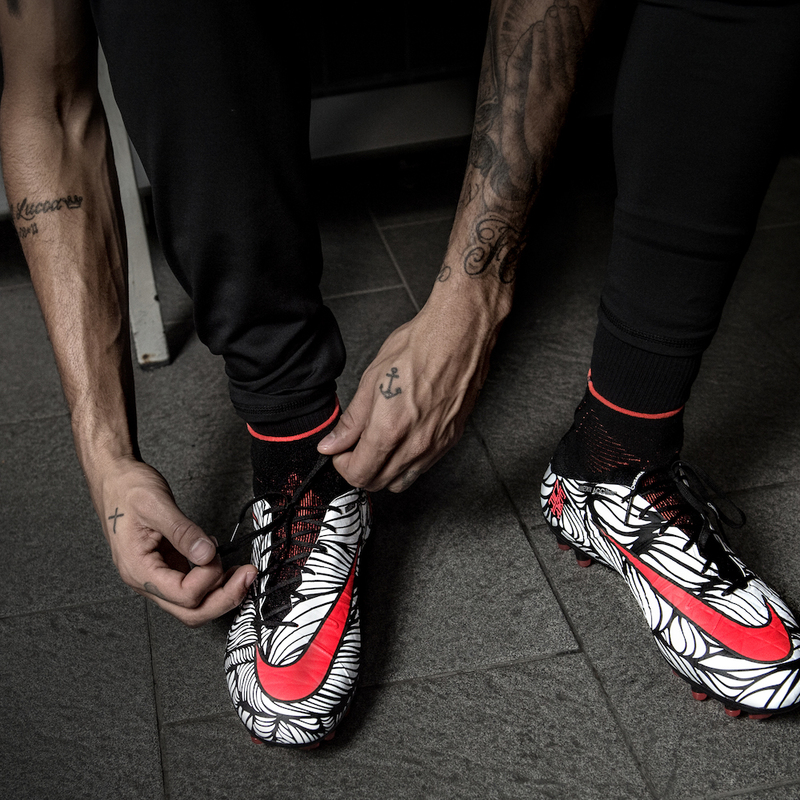 Neymar Jr. is no stranger to football boot design, as this "Liquid Diamond" edition is the third installment of his specialty Hypervenom boots. In the past, Neymar Jr. launched the original Hypervenom in 2013, and then followed up with a gold edition during the 2014 World Cup. The Hypervenom series is equipped with a split-toe plate and agility traction stud pattern that enables strikers to quickly respond to enclosing defenders. In the Shop: We have all three silos of Neymar Jr.’s Liquid Diamond Hypervenom boots. 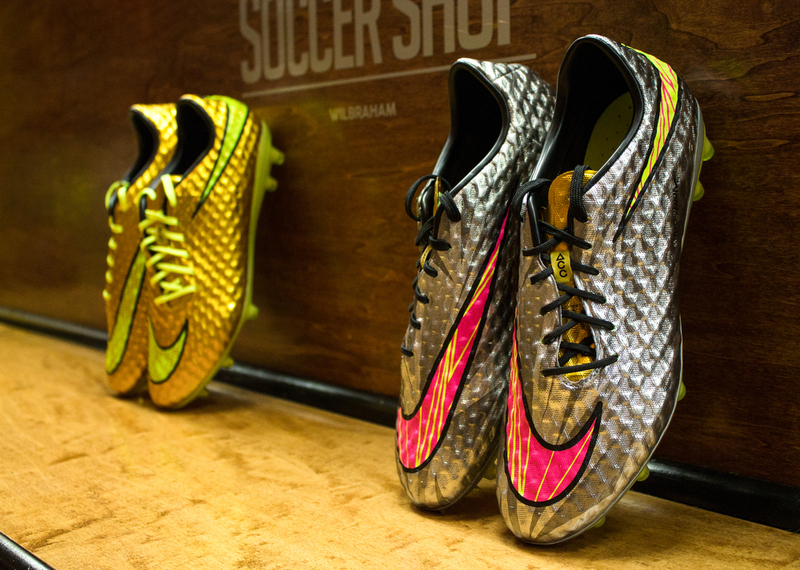 This includes the Hypervenom Phantom, Phatal, and Phelon in adult sizes and the Phelon in youth sizes. Visit the Soccer City Soccer Shop to check out our selection.